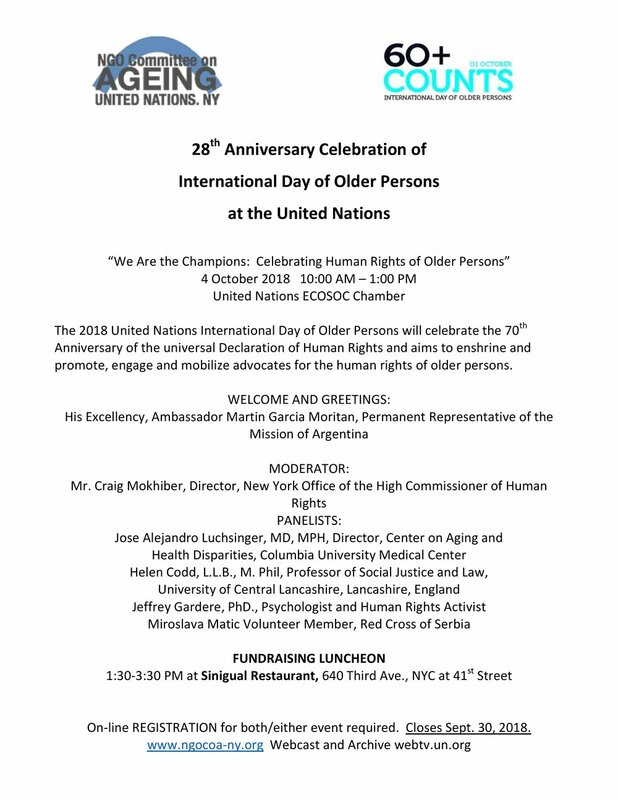 The 28th Annual United Nations Celebration of International Day of Older Persons (IDOP) will be held at United Nations headquarters on October 4th and is open to the public at no charge. Featured will be a video presentation on human rights followed by a panel discussion moderated by Mr. Craig Mokhiber, Director, New York Office of the High Commissioner for Human Rights. On-line registration for both/either event is REQUIRED.